Richard Bernstein‏ @RBAdvisors – Today is the 9th anniversary of the bull market. 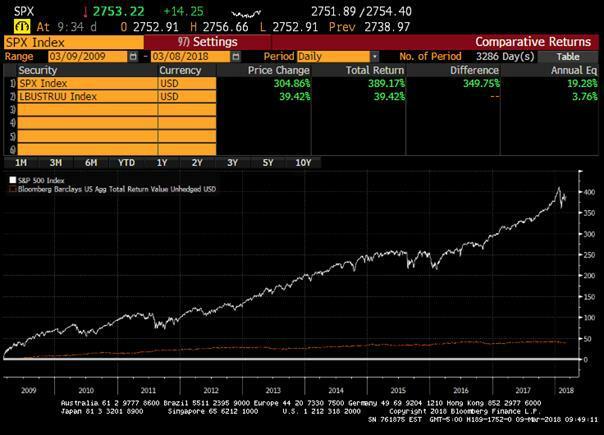 Stocks have outperformed more popular bonds by > 15% PER YEAR!!! How is this expressed in a chart? Lawrence McDonald‏ @Convertbond –They Love Tech $XLK 2018: $71.25 (all-time high) 2002: $11.50 (They hated Tech) *The fund saw almost $620m in inflows on Thursday, the most since December 2011, Technology Select Sector SPDR Fund. Nearly $25B is now in this ETF. This is a big moment indeed. 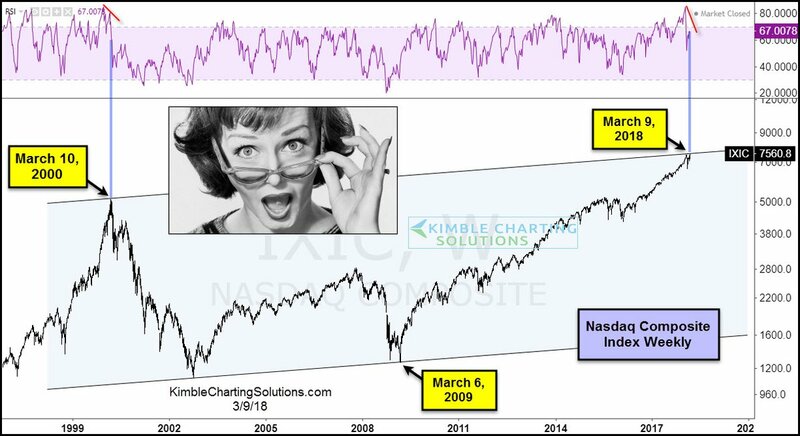 Is this a real breakout for NDX above its 2000 high or is it a double top? Or is what happened on Friday an expression of what “perfect” looks like? Our sincere thanks to both CNBC & Ron Insana for that signal. But we don’t have that for next week. So all we have left is momentum and “perfection”. 3. Perfect – Peak or a step to greater heights? How did David Rosenberg summarize the 313,000 NFP number on Friday morning? David Rosenberg‏ @EconguyRosie – The birth-death model added 76k seasonally adjusted jobs, like a wave of the magic wand. Adjust for this guesswork on the part of the BLS, and the headline NFP number would have been a more consensus-like 237k instead of 313k. The chart below shows that quarter-over-quarter annualized gross domestic product growth rates in the three largest advanced economies — the U.S., the euro zone, and Japan — have turned down. 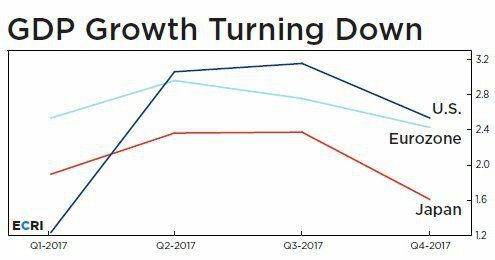 In all three, GDP growth peaked in the second or third quarter of 2017, and fell in the fourth quarter. This is what the start of a synchronized global growth downswing looks like. Specifically, the quality spread — the difference between the yields on junk bonds and investment-grade corporate bonds — has been widening for several months. But is a short term bounce in high yield likely, as we wondered last week? 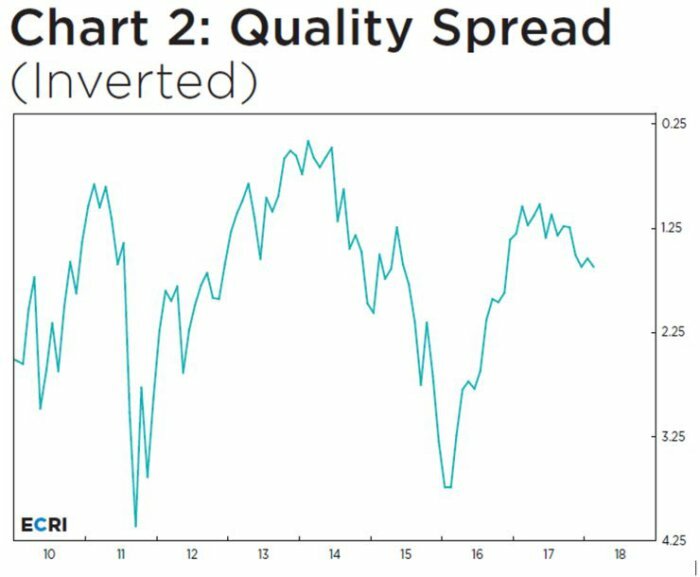 Lisa Abramowicz‏Verified account @lisaabramowicz1 – Despite recent weakness in U.S. equities, there are growing signs of strength in the high-yield bond market. The lowest-rated junk bonds have rallied more than the highest-rated ones, with the yield gap between the two tiers of notes narrowing near the lowest since March 2017. 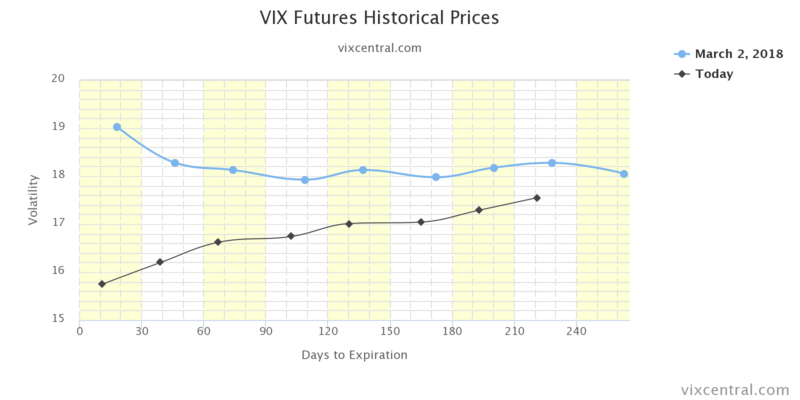 The month old hard & fast correction in stocks had two triggers – VIX explosion & fast shoot up in Treasury yields driven by the scare of 2.9% yr/yr wage growth in the Non Farm Payroll report on February 9. 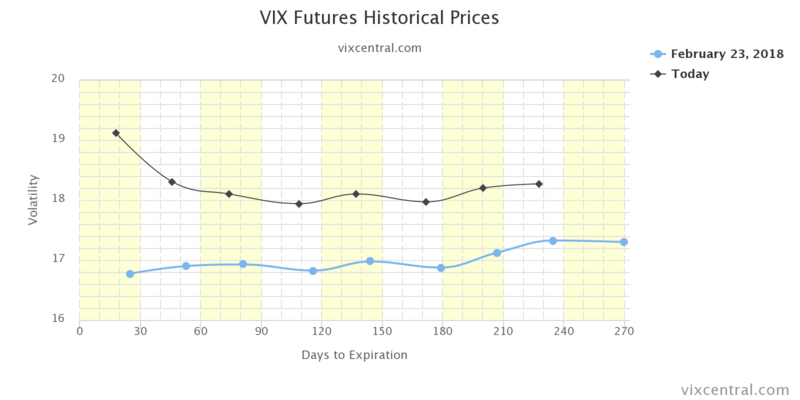 The VIX explosion has now been virtually extinguished. 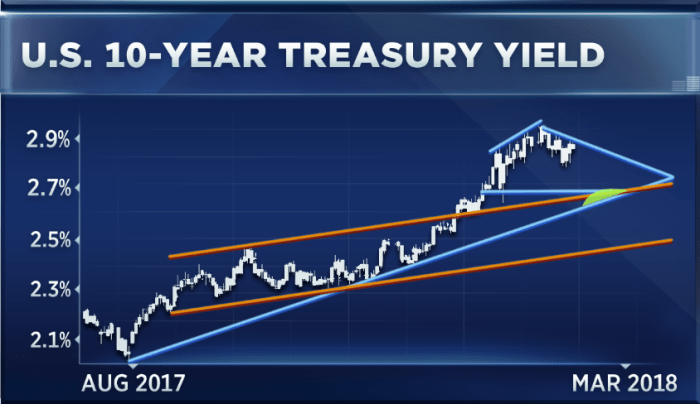 But what about Treasury yields? Can the 10-year Treasury yield stay below 2.90% with such wage growth? But what is the message of inflation expectations? 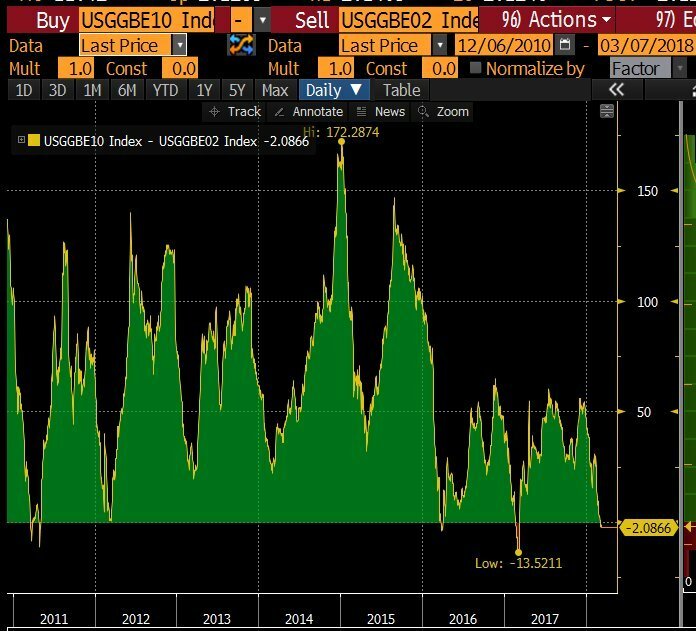 Lisa Abramowicz‏Verified account @lisaabramowicz1 – The gap between 10 and 2-year breakeven contracts has inverted for the fourth time since 2010. Yields have risen to touch their 150-month moving average, a move not seen since 2007 when yields peaked. 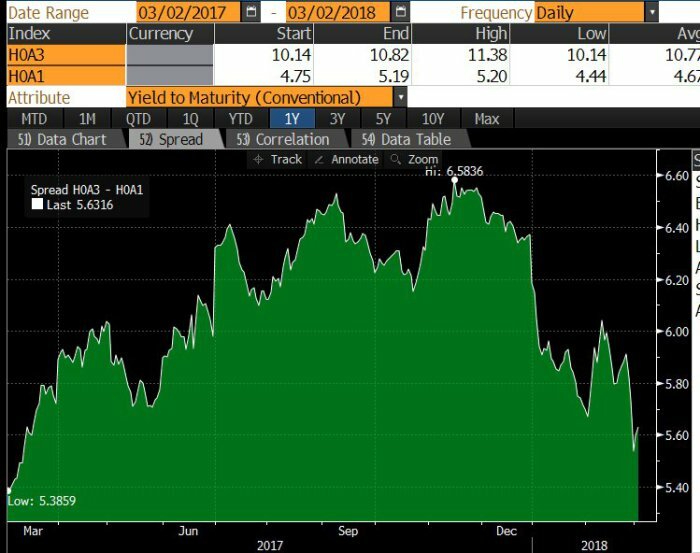 the “sell yield, buy bond signal” is at its peak this year. The setup on the bonds market also looks similar to how yields traded last March. 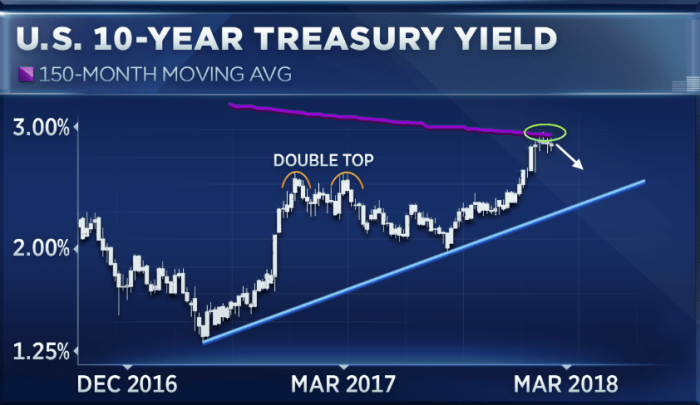 At that time, the 10-year yield formed a double top, trading at 2.6 percent to 2.7 percent before declining to 2 percent…. What is his stop for this trade? Well, one bad inflation number could propel the 10-year yield above 2.95% & stop out this trade. On the other hand, what if the 10-year yield falls further if inflation comes in weaker than expected? Ben Hunt‏Verified account @EpsilonTheory – Wed Mar 7 – There’s only one possible explanation for why markets aren’t down more on the Cohn news … Risk Parity is buying! By my calculation there is $5 trillion worth of “buying pressure” to be unleashed over next few days. Please alert JPM analyst. 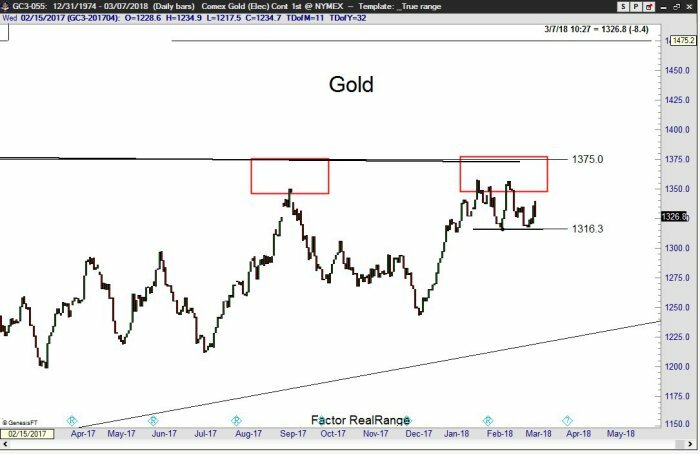 Peter Brandt‏Verified account @PeterLBrandt – Mar 7 – A close below 1310 in #GOLD $GC_F $GLD will be a sell signal for me. President Trump’s Tariffs Announcement – Oh Yeah, Baby?